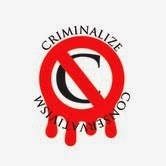 Criminalize Conservatism: Crying Bullies And Thuggery, Alive, Alive-O! Crying Bullies And Thuggery, Alive, Alive-O! ...as well as his brother's boss. "40 Corporate Polluters Exposed In Report - Citizens Demand Feds Investigate Koch-Scott-Bush Deal." "Some call them 'polluters' - others call them sociopaths. They are the greedy corporate and political racketeers who care nothing about the safety of other human beings, animals, the environment or democracy. It's all about getting their products made, packaged, and out to consumers for profit. That's it. Hear no evil, see no evil, speak no evil - just do, be, and live by evil. Then get rid of waste wherever you can. "Environment America released its 'Polluting Politics Report' shortly after the introduction of a House bill (H.R.5078) to block the EPA’s clean water rule to restore Clean Water Act meant to protect thousands of waterways in Florida - and across the country. · More than half of America’s rivers, lakes, and streams aren’t safe for fishing, swimming, or drinking. · Industrial facilities still reported dumping more than 206 million pounds of toxic pollution into our waterways in a single year. "According to Environment Florida, the company, Buckeye Florida LP, spent millions lobbying in 2012 after dumping tons of toxic chemicals into Florida waterways. In 2013, Buckeye was acquired by Georgia Pacific, which is owned by Koch Industries which is owned by the law-buying multi-billionaires, David and Charles Koch. And there they are again..."
...and some of those outlandish thugs are even trying to take control of the White House. ...and if they call you on it, just ignore the questions. ...and that Big Tent of thugs and bullies is what makes Conservatism so successful. Combine the bullying with lies and you get Conservatism. Combine the lies with fear and hate and you still get Conservatism. Combine them all with a lot of racketeering and stealing and killing and you get more of the same. "Climate change is “ridiculous pseudo-science garbage."